Biopharmaceutical company AstraZeneca Canada Inc. and the New Brunswick Health Research Foundation (NBHRF) have announced a strategic collaboration with the New Brunswick government and the New Brunswick Institute for Research, Data and Training (NB-IRDT) based at the University of New Brunswick in Fredericton. This partnership will accelerate the creation of an integrated health information platform for chronic obstructive pulmonary disease (COPD). AstraZeneca and the NBHRF have generously contributed $400,000 for the development of the New Brunswick COPD Health Information Platform (NB-CHIP). When completed, it will give researchers and policy-makers access to New Brunswick specific data about this chronic illness. COPD is the second-most common cause of hospitalization in New Brunswick, with direct acute care costs of $23 million annually. The NB-CHIP platform will allow for better monitoring and planning of how health care resources are allocated to the treatment this disease. Dr. Bruno Battistini, president, CEO and scientific director of the NBHRF, said this partnership will foster new research and understanding of COPD. “This project emerged from our foundational program, which aims to engage the private sector in health research and innovation. Via our research initiative program, we create partnerships and share the cost associated with investing in novel projects that we feel will improve the quality of care to New Brunswickers – this is especially relevant in this context given that COPD is the second-most responsible cause of hospital admissions in our province,” said Dr. Battistini. More than 55,000 New Brunswickers live with COPD and many more go undiagnosed. It can, however, be prevented through regular screenings and early identification. New Brunswick Minister of Health Victor Boudreau said government is working hard to address COPD and that the NB-CHIP platform will be a great addition to these efforts. “This important research will complement the Government of New Brunswick’s existing efforts to promote awareness of COPD and support patient outcomes through increased screening, earlier detection, and improved management,” said Mr. Victor Boudreau. The NB-CHIP platform will be developed by NB-IRDT at the University of New Brunswick in Fredericton. This institute carries out evidence-based research to provide government, academics, and researchers with solid information to inform decisions that affect New Brunswickers. 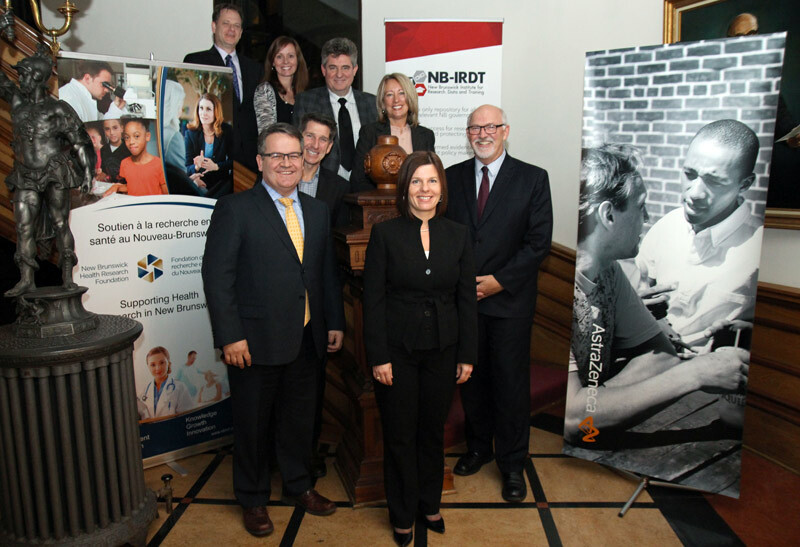 “With support from AstraZeneca, the NBHRF and the New Brunswick government, the NB-CHIP platform will propel New Brunswick to the forefront of population-level research on COPD in Canada, leading to better management of a disease approaching crisis proportions in New Brunswick,” said Dr. Ted McDonald, director of NB-IRDT. Founded in 2015, NB-IRDT was created through a partnership between the provincial government and the University of New Brunswick. It gives researchers, academics, and officials access to anonymized provincial administrative data to help them identify trends and analyze policies. It is intended that the institute’s research and data platforms will result in more effective government decision-making.